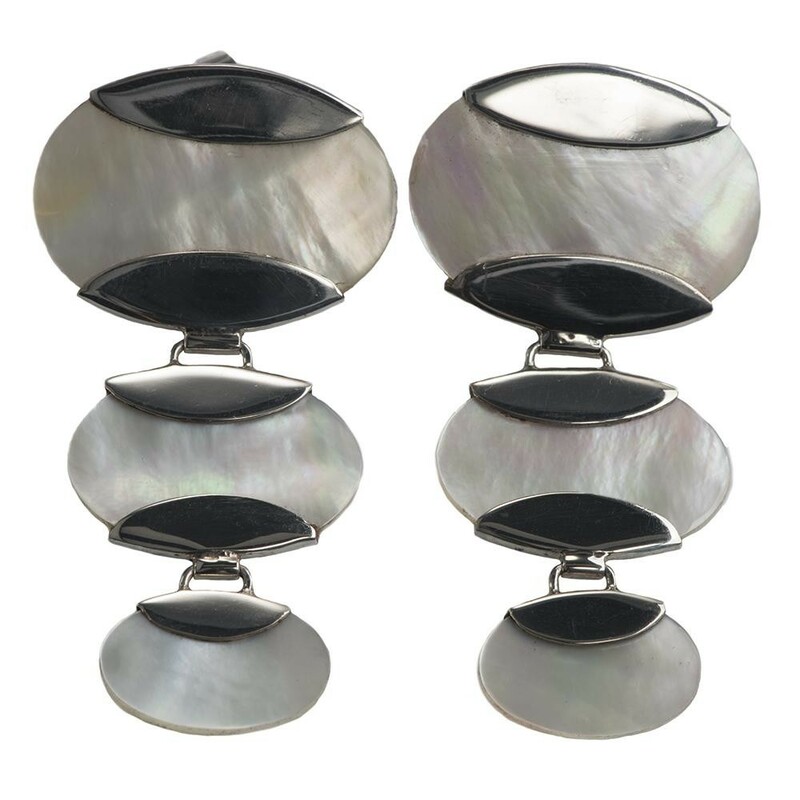 Both timely and timeless, these stud earrings boast three tiers of hanging oval-shaped Mother of Pearl components, which are held in place by large, hinged and highly-polished silver plates. These large ... Read more. Both timely and timeless, these stud earrings boast three tiers of hanging oval-shaped Mother of Pearl components, which are held in place by large, hinged and highly-polished silver plates. These large size lustrous pieces of art exude classic elegance. Beautifully handcrafted by Balinese artisans.